Don’t have much time to roll out a pizza dough? 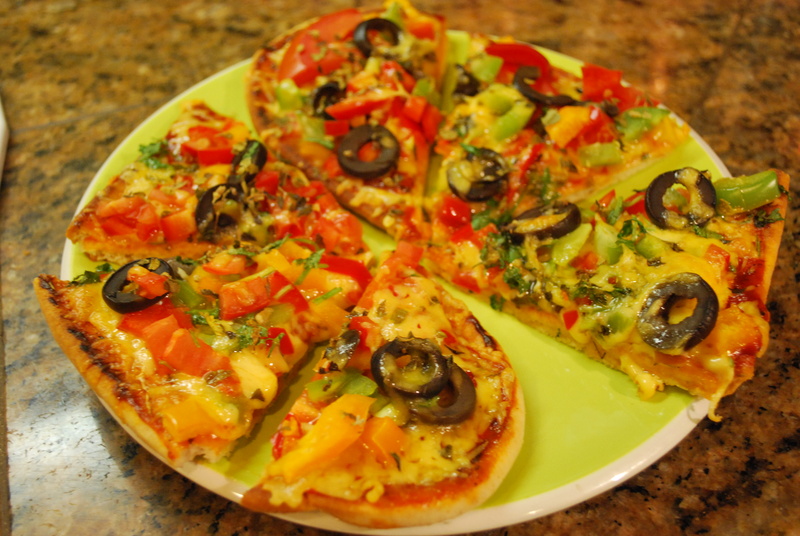 Well, most ready made crusts contain onion, garlic, or even egg, making it seem tough for the busy Jain to make homemade pizza. Scratch that—ever tried naan pizza? Add in a pinch of salt and some fresh ground black pepper and stir the sauce. If you like the sauce a bit spicier, add some pimiento or red chili powder as well. Stir well on low-med heat for about 3-4 min. Cover the saucepan with a lid and let it simmer on low heat for a few more minutes before removing from heat. -Shredded Vegetarian cheese (I use Tillamook Sharp Cheddar!) 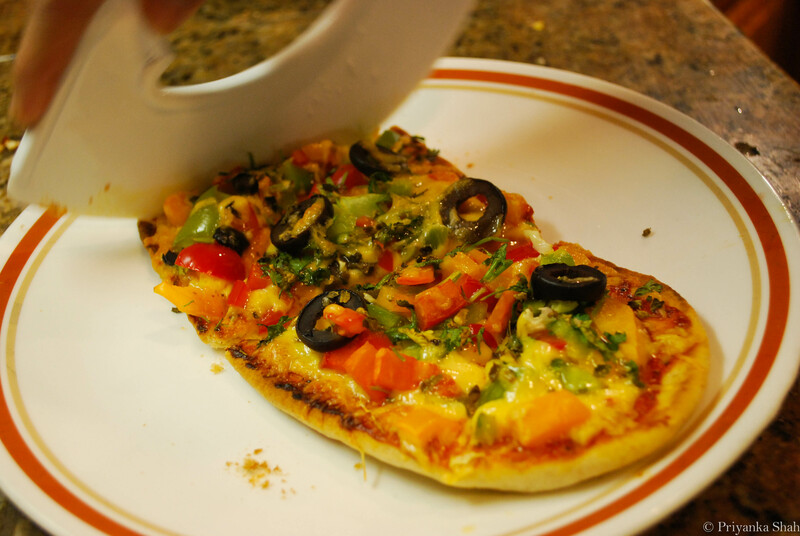 –you can also try using a vegan shredded cheese if you like! 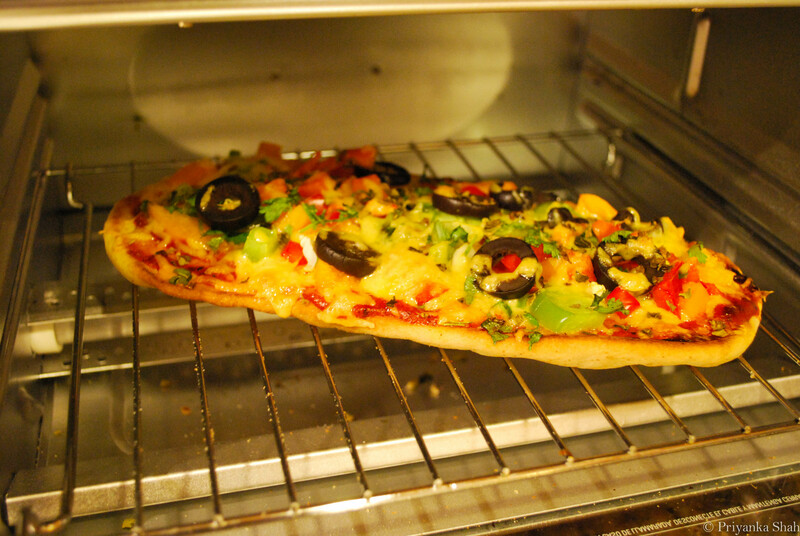 To make the pizza, simply prep the pizza sauce and preheat the oven or toaster oven to 325 degrees F on bake. Place the naan loaves on a pizza tray or baking sheet and put in center rack of oven to warm them. You can also brush the loaves with some olive oil if you like. After about 5 minutes or once the loaves look slightly golden brown, remove the loaves. 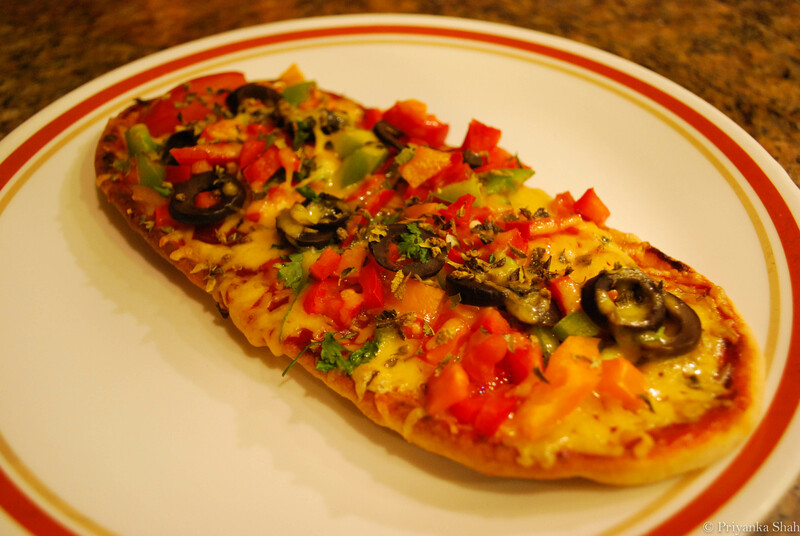 Spread the Jain pizza sauce on the loaves, toss on your favorite toppings from the list above, and sprinkle on the cheese as you please. I like to top off my pizza with crushed oregano and cilantro. Switch the oven to the broil setting, and put the prepped pizzas back in the oven. Broil until the toppings look cooked and the cheese is bubbly/melted (about 7 minutes). Remove from oven, slice, and enjoy! Next PostNOGO (No Onion-No Garlic) Pesto!